It has been interesting reading obituaries of Yitzhak Shamir. In some ways, they have been surprisingly candid. In other respects, grossly inadequate. The basic facts about Yitzhak Shamir cannot really be open to question. During the 1940s, he was one of the leading figures of a right-wing Zionist terrorist group, which had proposed an alliance with Nazi Germany. For decades, he was on the marginal right of Israeli politics, but rose with Likud, due in part to Israeli resentment at Ashkenazi hegemony within Israel. Right-wing even for Likud, he objected to the peace treaty with Egypt, resisted any concessions to Palestinians, was foreign minister during the Sabra and Chatila massacres, prime minister during the First Intifada, and categorically opposed the Oslo agreements and Netanyahu’s imaginary devotion to them. He lived and died an arch-rejectionist and war criminal. The Australian’s obituary was surprisingly full of facts about his life. In the Jewish News, AIJAC’s head, Colin Rubenstein, described LEHI – the organisation Shamir led – as a group which practiced ‘morally problematic tactics, such as the assassinations of Lord Moyne, the British minister of state for the Middle East, and United Nations envoy Count Folk Bernadotte’, which ‘most Zionists’ reject. 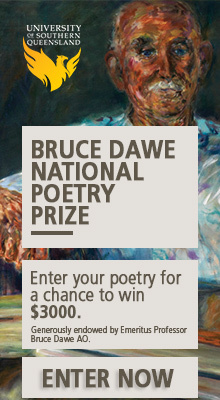 Hardly pungent criticism, but criticism, nonetheless. Bernadotte was murdered on the orders of Shamir and two other leaders of LEHI. During the Holocaust, Bernadotte had rescued many Jews. In 1941, however, LEHI offered to collaborate with the Nazis. In their letter to the Nazis, they explained that LEHI ‘is closely related to the totalitarian movements in Europe in its ideology and structure’. Neither Jewish ethics nor Jewish tradition can disqualify terrorism as a means of combat… First and foremost, terrorism is for us a part of the political battle being conducted under the present circumstances, and it has a great part to play… in our war against the occupier. Morally problematic? One imagines Dr Rubenstein would not be among those who would use this argument to support terrorism in another people’s war against their occupiers. 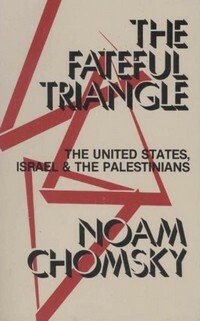 Chomsky’s Fateful Triangle has other revealing quotes from Shamir, such as Shamir referring to the Palestinians as ‘brutal, wild, alien invaders in the Land of Israel’. 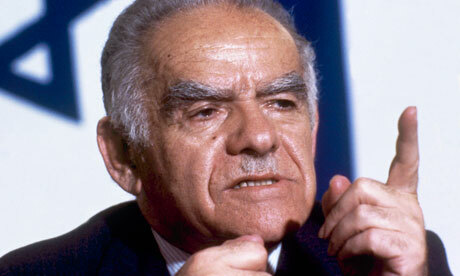 Shamir was foreign minister during the 1982 invasion of Lebanon. After the Palestinian fighters were kicked out of the refugee camps, the US promised to guarantee their safety. It then withdrew. Israel tried to put its Christian allies in power, the Phalangists, whose founder was inspired by the Nazis. Bashir Gemayyel was duly installed as president with Israel’s assistance, so that he would sign their peace treaty. The Kahan Commission – the Commission of Inquiry into the Events at the Refugee Camps in Beirut – was considered, at the time, an exemplary example of Israel at its finest. It held Ariel Sharon ‘personally’, but indirectly responsible, and recommended his dismissal. Shamir was the foreign minister at the time. According to the Commission, Yitzhak Shamir was told about the massacre as it took place on that first day: he did nothing. A little more than a year later, he was prime minister. He later explained that the anger at Israel over the massacres was ‘anti-Semitic’. Shamir was again prime minister when the First Intifada broke out. Rubenstein fairly points out that Shamir was, at the time, like ‘all significant Israeli political leaders’ in opposing the creation of a Palestinian state. This includes the mysteriously sainted Yitzhak Rabin. Rabin is widely regarded as a dove who strove for peace, whilst Shamir is regarded as an arch-rejectionist. In fact, they both opposed the creation of a Palestinian state, and Rabin played a greater role in the ethnic cleansing of Palestinians in the Nakba. In his memoirs, Rabin admitted to expelling tens of thousands of Palestinians from Lydda and Ramleh. During the first Intifada, it was Rabin, as Minister of Defence, who declared a policy of ‘force, might and beatings’ to crush the largely non-violent uprising. In 1992, having lost the elections to Rabin, Shamir declared that he ‘would have carried on autonomy talks for ten years, and meanwhile we would have reached half a million people in Judea and Samaria.’ Of course, this is exactly what Rabin did. And what other Likud, Labor, and Kadima governments have done since. However, Labor Zionists know how to couch their colonialism in rhetoric less brazen for the West, which prefers supporting quiet expansionism to Likud’s more candid style. Anyone who opposes terrorism or thinks Palestinians are entitled to human rights cannot weep at the death of this man. All one can say in his favour is that he was a more honest Zionist than many other Israeli politicians. Great article. But I disagree with the assertion that “Anyone who opposes terrorism or thinks Palestinians are entitled to human rights cannot weep at the death of this man.” I think it is a great shame that he died without every being brought to justice for his multitude of crimes.